Geneva, Switzerland – November 15, 2018 – MSC Cruises - the Swiss-based world’s largest privately owned cruise line and brand market leader in Europe, South America and South Africa - announced today that sales for the Summer 2020 season are now open. Any MSC Cruises holiday is made unforgettable by an unparalleled on board experience. All of the Company’s modern and elegant ships offer an incredible choice of dining options with the best of Mediterranean and International cuisines, world-class entertainment, award-winning* facilities and activities for families and children of all ages, luxurious pampering and wellness and comfortable accommodations to meet every need. Experts in Mediterranean-style cruising, MSC Cruises will deploy 11 ships in this ever-popular cruise region. 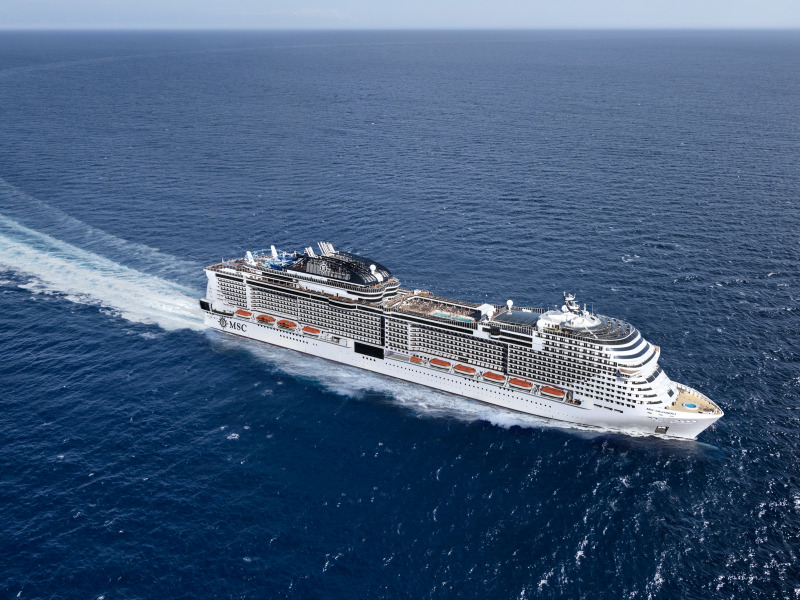 Along with the Company’s new flagship MSC Grandiosa, three other ships will sail in the Western Mediterranean - MSC Divina, MSC Fantasia and MSC Seaview. This beautiful and innovative new ship will spend a second summer in the Mediterranean, calling Barcelona (Spain) on Saturdays, followed by Cannes (France) and Civitavecchia (Rome - Italy). MSC Divina will sail to the Balearic Islands, including stops in Ibiza and a late night stay in Palma de Mallorca, with the new addition of a full day in the beautiful portside city of Naples (Italy). MSC Fantasia, for her part, will visit the inimitable islands of Sicily and Sardinia (Italy), as well as a call in the thriving Spanish city of Valencia. In the Eastern Mediterranean, five ships will be deployed in order to meet growing demand for this stylish and picturesque region. MSC Orchestra, MSC Musica, MSC Magnifica, MSC Sinfonia and MSC Opera will all offer itineraries in the Greek Islands and the best of the Adriatic Sea, visiting the red-tiled roofs of Dubrovnik (Croatia), the dazzling white walls of Mykonos (Greece) and departing from the magic and mystery of Venice (Italy), among other exotic destinations. Finally, for those who are looking for a longer cruise in the Autumn months, MSC Poesia and MSC Splendida autumn cruises offer 12 or nine-night cruises respectively to Portugal and Morocco or Madeira and Canary Islands. After being christened in November 2019, MSC Grandiosa will kick off her first summer season with one of MSC Cruises’ most popular itineraries, sailing from the historic port of Genoa (Italy), to Naples, where guests can travel to the mysterious and captivating UNESCO World Heritage Site, the ruins of Pompeii, which still fascinates travellers almost 2000 years after its destruction in 79 AD. From there, the state-of-the-art ship will journey to the magnificent Sicilian city of Messina (Italy) and onwards to the colourful capital of Malta, Valletta. Before returning to Genoa, MSC Grandiosa makes her final stops in the unique and buzzing city of Barcelona (Spain) and the thriving port of Marseilles (France). MSC Grandiosa is the third Meraviglia Class ship and the first in the new, expanded Meraviglia-Plus prototype. This next generation smart ship will be the second to feature the world’s first digital cruise assistant Zoe as an extension of MSC for Me - MSC Cruises’ digital innovation programme. The mega-ship will feature further developments, such as an additional 200 cabins compared to her sister ships, more public space, a longer promenade at the heart of the ship and two brand new Cirque du Soleil at Sea shows exclusive to MSC Cruises guests. 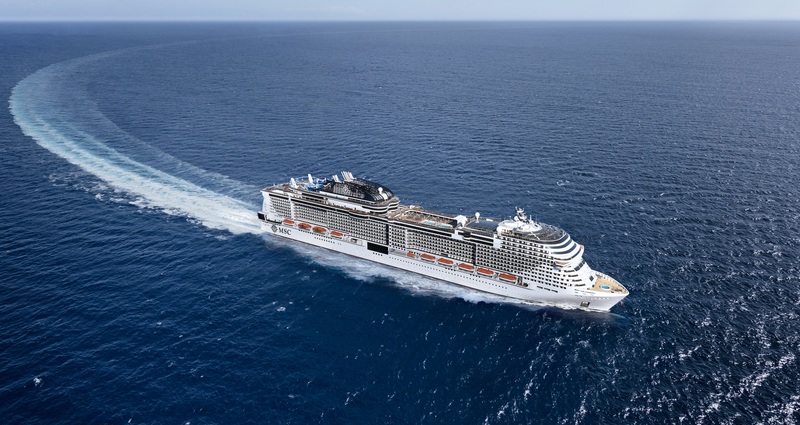 Four MSC Cruises ships will be deployed in Northern Europe for summer 2020, offering longer cruises of up to 14 nights on MSC Preziosa, which will sail from Hamburg and journey north into the Atlantic, to the untouched beauty of Norway and Iceland. MSC Preziosa will also offer seven-night Northen Pearls cruises from Hamburg calling at Le Havre,Southampton, Zeebrugge and Amsterdam. MSC Poesia, home ported in Warnemünde (Germany) will offer 11-night Baltic cruises and a mixture of 7-night cruises, visiting the Fjords in Norway and the Baltic capitals, respectively. These trips are the perfect opportunity to visit Scandinavian and Eastern European gems, which offer a nice alternative to sun-seeker holidays. MSC Meraviglia, the ship for all seasons, will return to Northern Europe and MSC Splendida will join MSC Meraviglia in their homeport of Kiel (Germany), , with a variety of breath-taking itineraries, including a long cruise to the Emerald Isle of Ireland, visiting the many gems it has to offer and another rounding of the North Cape, before returning to Kiel. Finally, one of the key highlights for Northern Europe will be MSC Poesia’s stunning 21-night cruise for those who really want to immerse themselves in this incredible region including Greenland and Iceland - perfect for adventure-seekers and nature lovers. For 2020, the iconic MSC Seaside will continue her reign in the Caribbean, sailing 7-night itineraries from Miami (USA) and experiencing the rhythmic beats of Ocho Rios (Jamaica), the turquoise blue waters of George Town (Cayman Islands) and the Mexican paradise of Cozumel. Rounding out the Western Caribbean, MSC Armonia will call in the unparalleled city of Havana, where guests can step back in time and experience the vintage grandeur during their overnight stay. San Juan, St Thomas, Nassau and Ocean Cay – East combine both itineraries for a 14 night cruise. Both ships will also call in Ocean Cay, MSC Cruises’ private marine reserve, which opens in November 2019. This stunning piece of paradise just off the coast of Miami in the Bahamas, will immerse guests in the beautiful natural environment with dazzling blue waters, some of the best white sandy beaches in the world.